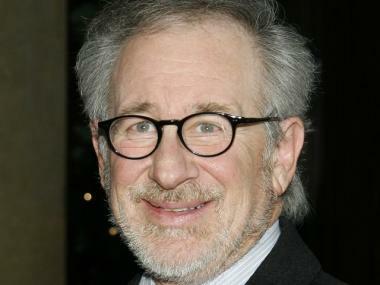 Steven Spielberg arrives at the America's Democratic Legacy Award Gala in Beverly Hills, Calif. on Dec. 9, 2009. "The rebuilding effort at Ground Zero is a compelling story of remembrance and renewal," Mayor Michael Bloomberg said in a statement. "The fact that Steven Spielberg — one of the great filmmakers of our time — will produce a documentary on it ensures that the story will be brought to life for people around the world, for generations to come." 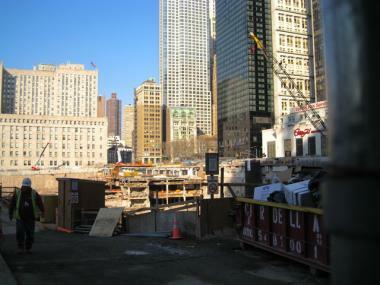 Ground Zero construction in lower Manhattan. Science Channel cameras were granted special access to Ground Zero from the Port Authority and the Lower Manhattan Construction Command Center. Reconstruction at Ground Zero began in 2006, but has been plagued with delays. According to the Daily News, the World Trade Center won't be fully rebuilt and occupied until 2037. The Port Authority has denied those reports, saying the memorial should be completed by 2011 and the tower in 2013. Rebuilding Ground Zero will be produced by Spielberg's company, DreamWorks Television, and the Science Channel, in association with KPI, an Emmy award winning, New York City-based, production company. Jonathan Hock is the director.